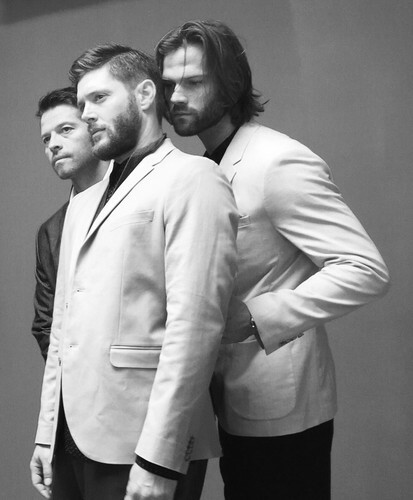 Jensen Misha and Jared shoot. For Rogue magazine 2016. HD Wallpaper and background images in the Дженсен Эклс club tagged: photo jensen ackles jared padalecki eric kripke suit saturn awards red carpet. This Дженсен Эклс photo contains деловой костюм.